Disagreements about finances, spending and debt are leading causes of divorce. How to pay for or divide the marital debt has been a major issue for divorcing couples during the recent recession. 1. IDENTIFY YOUR DEBTS. Review your credit report which you can obtain for free once per year from each of the major credit reporting agencies: Experian, Transunion and Equifax. You need to make sure you know what debts are in your name and your spouse’s name. 2. ARE THE DEBTS JOINT OR INDIVIDUAL. You and your spouse’s credit reports will tell you which debts are joint with your spouse and which ones are yours alone or spouse’s alone. 3. PAY OFF JOINT DEBTS. As much as possible, pay off debts which are joint. If a debt continues as a joint debt after the divorce, you can each be pursued by the creditor even if your divorce agreement makes one of you responsible for payment of the joint debt. 4. 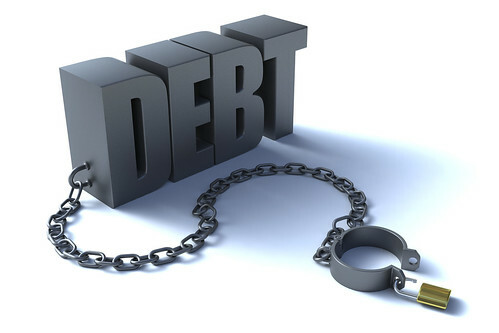 CONSULT WITH A DEBT COUNSELING SERVICE. If you and your spouse are unable to make the monthly payments on your debt, a reputable debt counseling service may be able to help you negotiate a payment plan with your creditors. Some recommended debt counseling services are The Village and Family Means. 5. BANKRUPTCY OPTION. If you have substantial debt and not many assets, consulting with a bankruptcy attorney may give you another option for dealing with debt. 6. PLAN TO END JOINT DEBT LIABILITY. If you can’t pay off all your joint debts, develop a plan to end your joint liability including credit cards, mortgage, lines of credit and other debt. 7. ESTABLISH AND MAINTAIN YOUR CREDIT. If one spouse has no individual credit card, explore ways to allocate resources to that spouse to obtain an individual credit card. If one spouse is planning to buy a new home and assume a new mortgage, make sure that actions like closing credit card accounts do not result in a lower credit score for that spouse which could jeopardize the purchase of a new home. In a collaborative divorce, couples work with neutral financial specialists like Dave Jamison who has helped couples who are refinancing mortgages or obtaining new mortgages during the divorce process.Working with a neutral financial specialist, both spouse’s interests are addressed. This avoids the problems caused when one spouse makes a unilateral decision or action which adversely affects one or both of their credit scores or abilities to secure financing in the future. Even if debt was a problem during your marriage, there are ways to “part” your debt in divorce.